I have been following the work of Melbourne based magazine, Dumbo Feather for quite a while and have always dreamed of shooting for them. 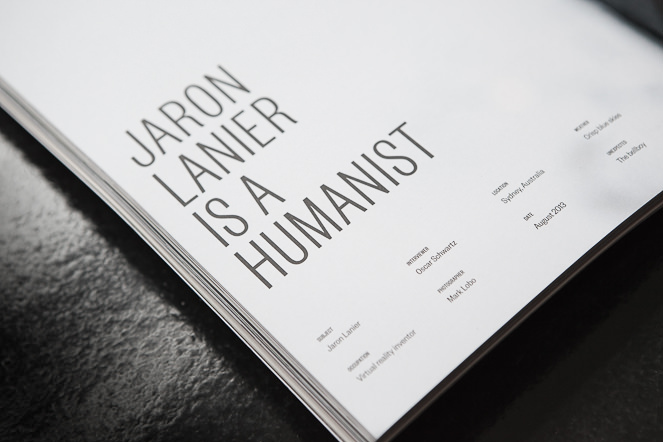 Their stories always feature the most inspiring of minds and their photography and layout is gorgeous. 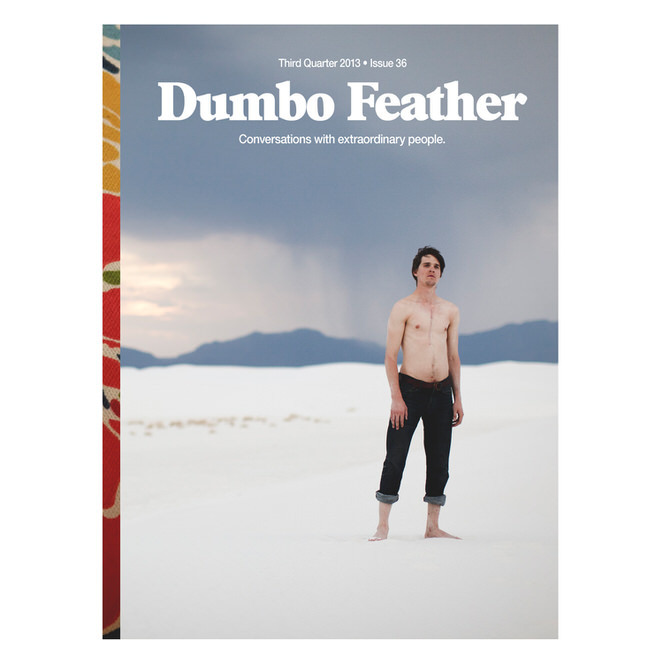 Earlier in the year, I reached out to them by sending through a mocked up Dumbo Feather magazine which used my own photos for the cover, contents page and also images from a story I had shot in Melbourne a few years earlier. They liked what they saw and got a chance to head in to their beautiful office space in St. Kilda for a meeting. 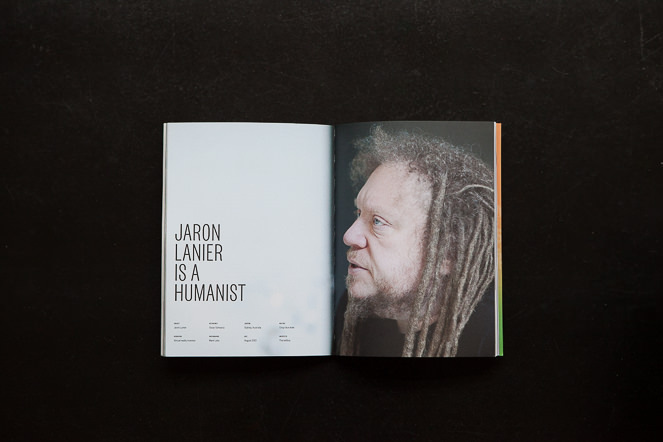 A few months later, an opportunity came up to photograph a story for them in Sydney. 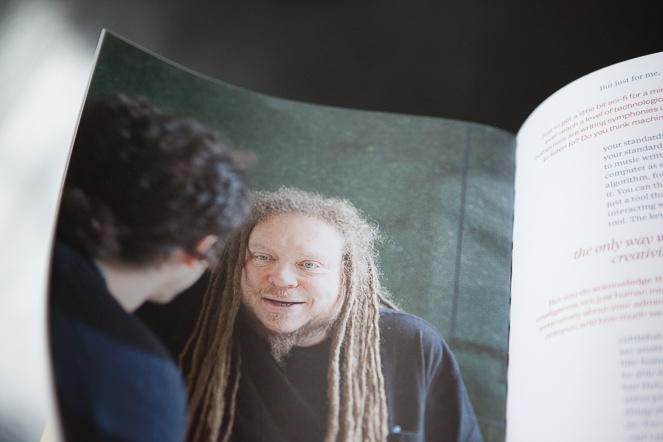 The subject was Jaron Lanier, a multi talented man with an amazing story, and the creator of virtual reality. I photographed Jaron at his Sydney hotel, right before he was to leave for a flight back to San Francisco under a pretty tight schedule (like, really really tight). 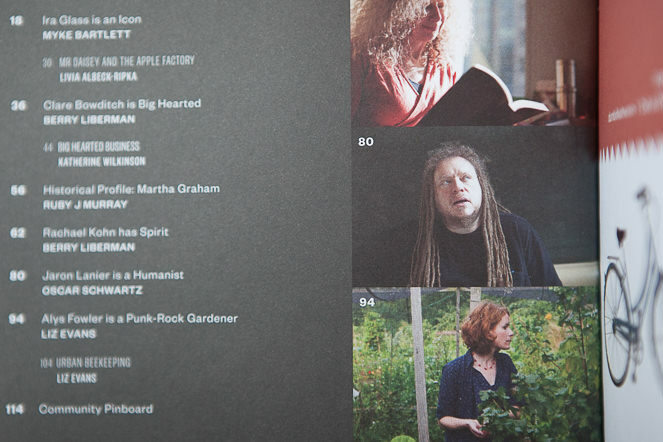 It wasn’t quite the style I had initially intended on shooting for the magazine, but I couldn’t be happier with the images I captured and how they were used. What a great story, Mark. 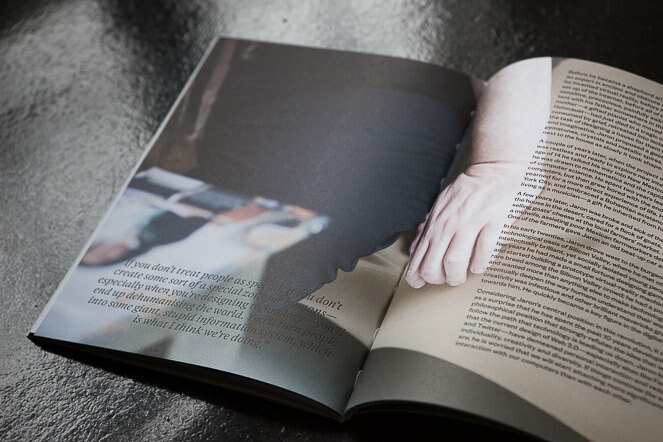 I love your passion and what you did with that mocked up magazine. 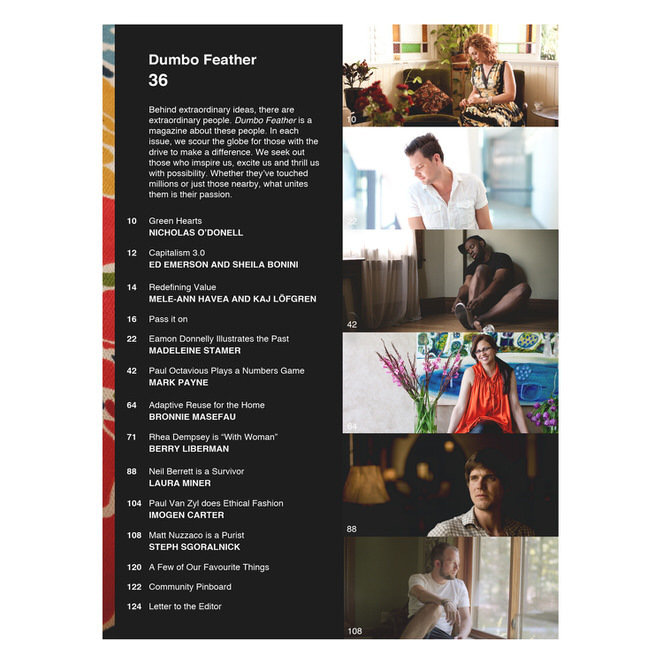 I’m also a huge fan of Dumbo Feather. It’s so great to have such an inspiring group of people doing amazing things here in Melbourne!